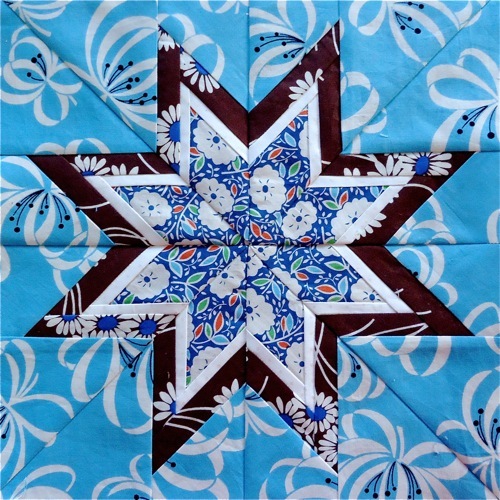 Here’s my latest Lonestar Burst square. I’m feeling much better lately, almost healthy enough to take my vigor for granted again. 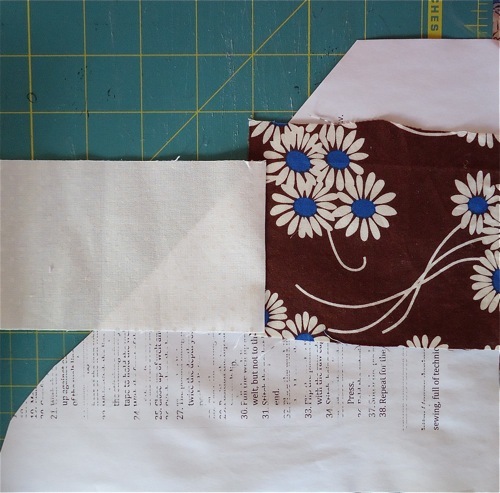 I decided to keep making quilt blocks from scraps- even if it’s just one a week- because I really enjoy the repetition and stillness of creating a quilt block. 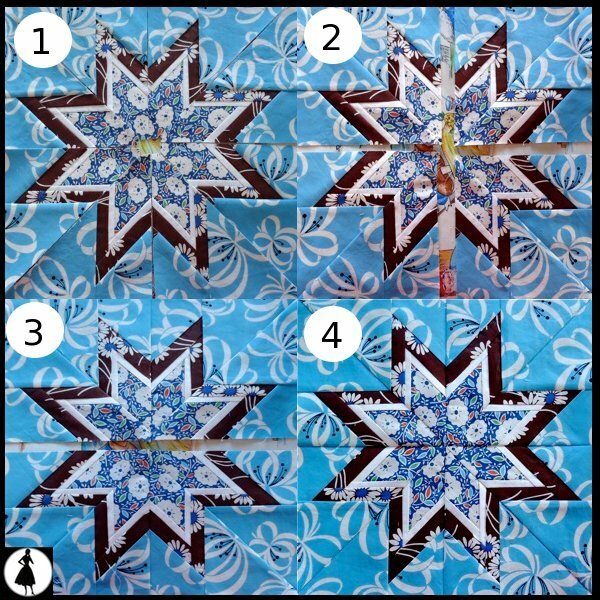 I only made one block this week, but I documented the process in painstaking detail for those who are interested in how paper piecing this square works. 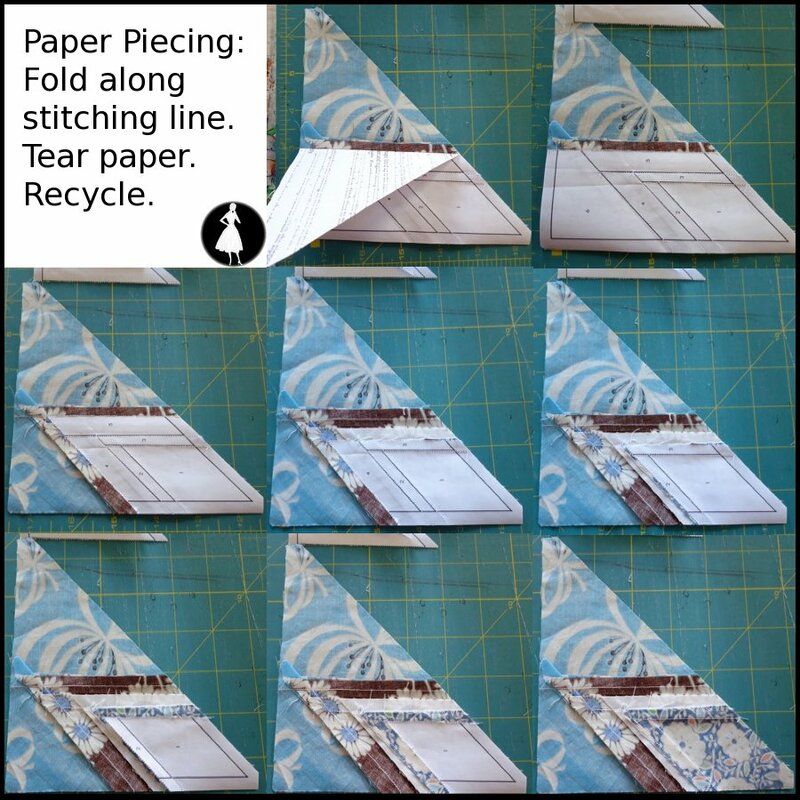 (nudge nudge) I wrote a Storm at Sea paper piecing tutorial some time ago, but I want to play with other ways to make pictutorials- can they be a little more Japanese, a little less wordy? First you’ll want to print off four Lonestar Burst templates from Six White Horses and cut the A section from the B. I use scrap paper. 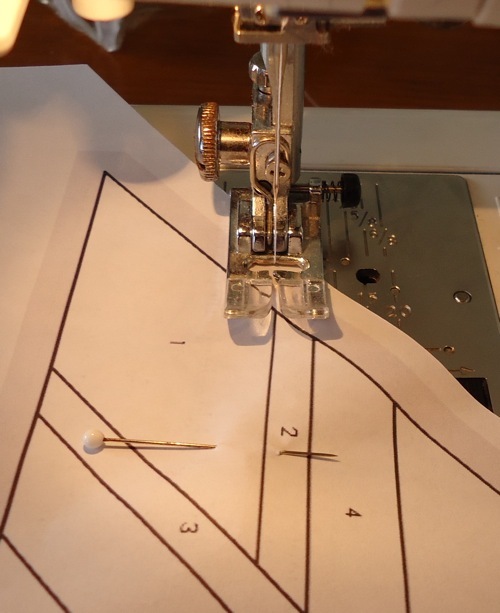 You’ll be sewing on the lined side. Each section is numbered, starting with 1. The brown fabric here is for section 1, and the white for section 2. 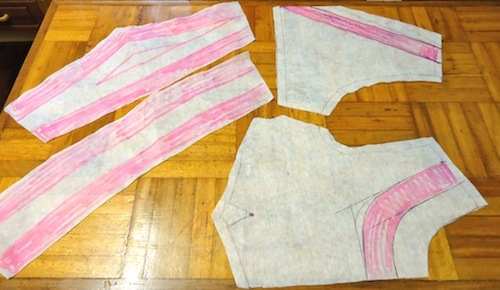 I don’t pre-cut my fabric into shapes, but I do like strips. Here, the white one is 3 1/4″ and the brown is 4″. 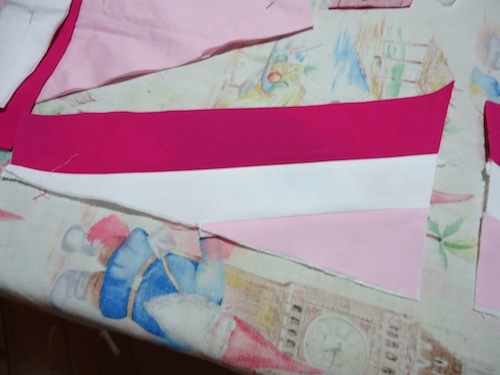 Lay the first two fabrics right side together, one raw edge matching. This part is not tricky, but it won’t make sense until you get your hand in. 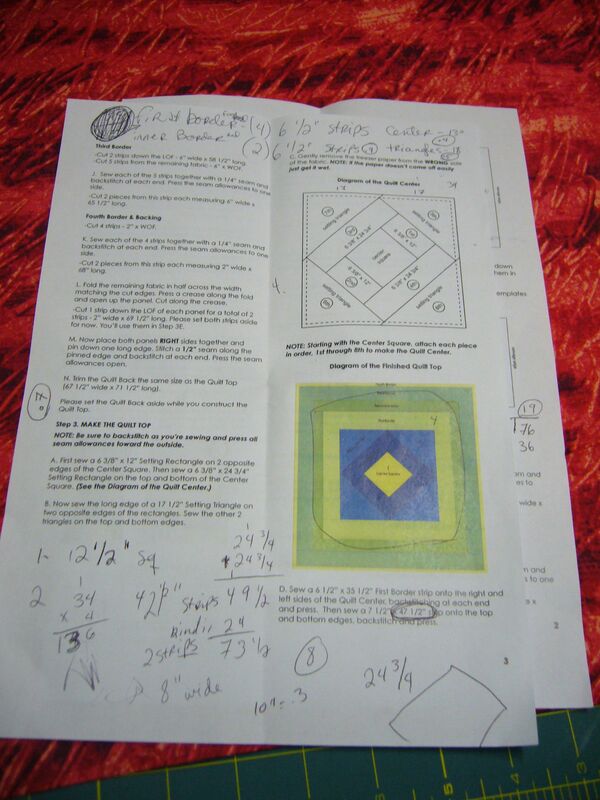 The wrong side of the brown fabric needs to lie against the “wrong” (unlined) side of the paper. 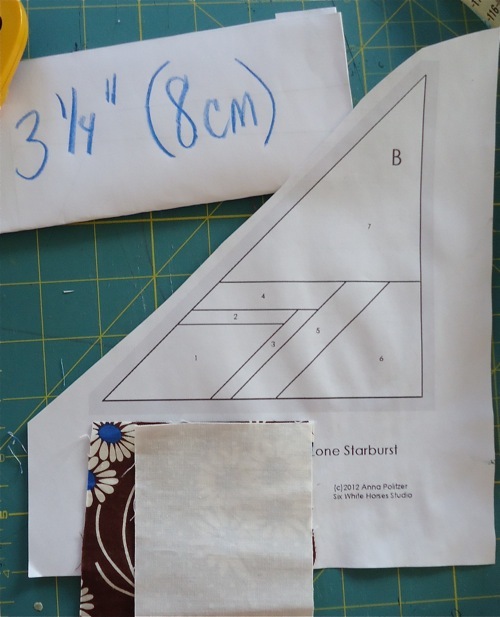 That raw edge should lie on the line between section 2 and 4, and make sure the fabrics cover sections 1 and 2 with a bit extra around the edges. You can pin. Setting up the first two sections is a bit weird, but the rest is not too bad. Stitch the line between sections 1 and 2. The template doesn’t show to stitch in the gray area seam allowance, but I find it’s neater. 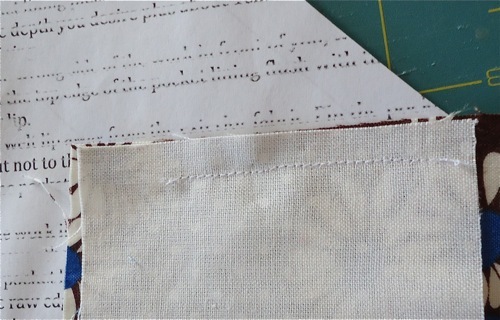 Use a tiny stitch (1.6 length or so) to make tearing the fabric simpler later. I don’t bother to backstitch. This is what it looks like when it comes out of the sewing machine. Open out the fabrics and press. 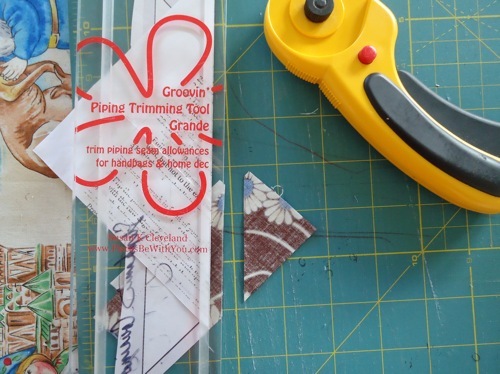 Flip it over and trim off the bottom edge of section #1, 1/4″ from the marked seamline. 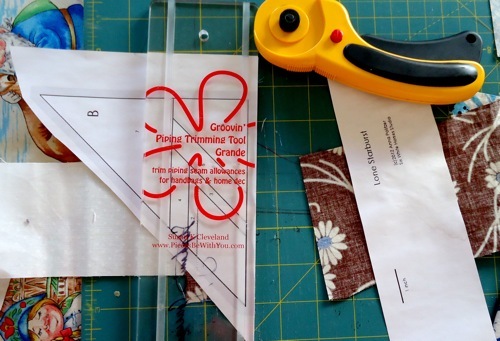 I use a piping trimming tool to guide my rotary cutter, but there’s all kinds of rulers to help with this. This is the repetitive bit. We’re trimming section 2. 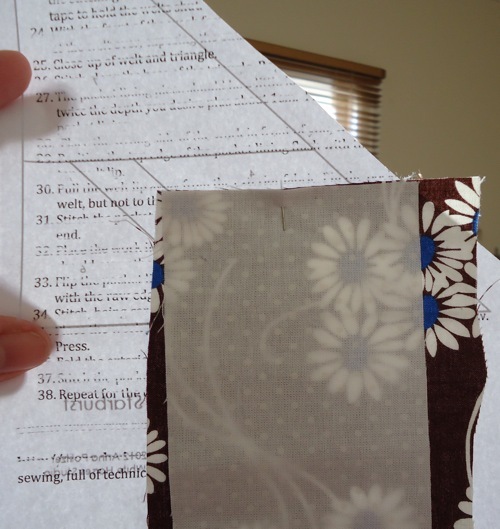 Begin by folding the paper along the dividing line between sections 2 and 4. Measure 1/4″ from the fold. Trim. 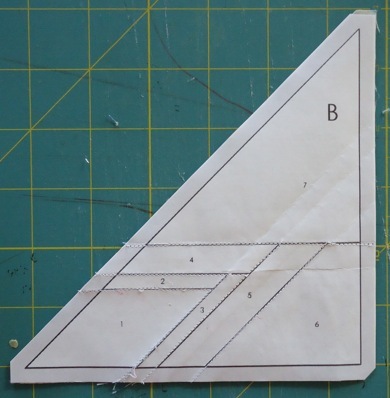 Before adding section 3, fold the template along the line between sections 1 and 3. 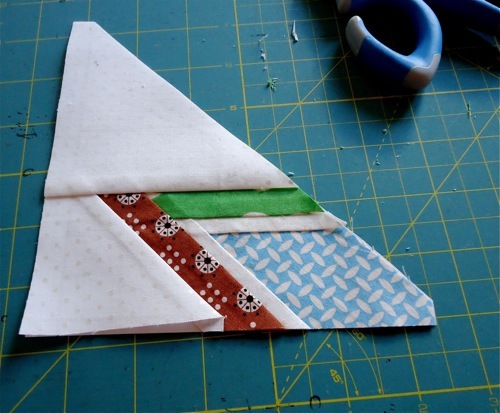 Measure 1/4″ from the folded edge and trim the excess from section 1. I used white for section 3. Right sides together with the brown from section 1, raw edges aligned. Pin if desired. 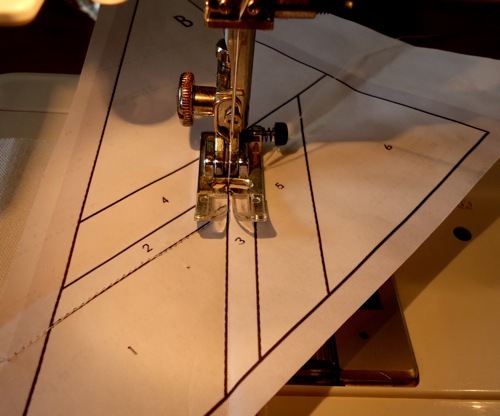 Flip the template over and stitch the line between 1 and 3. 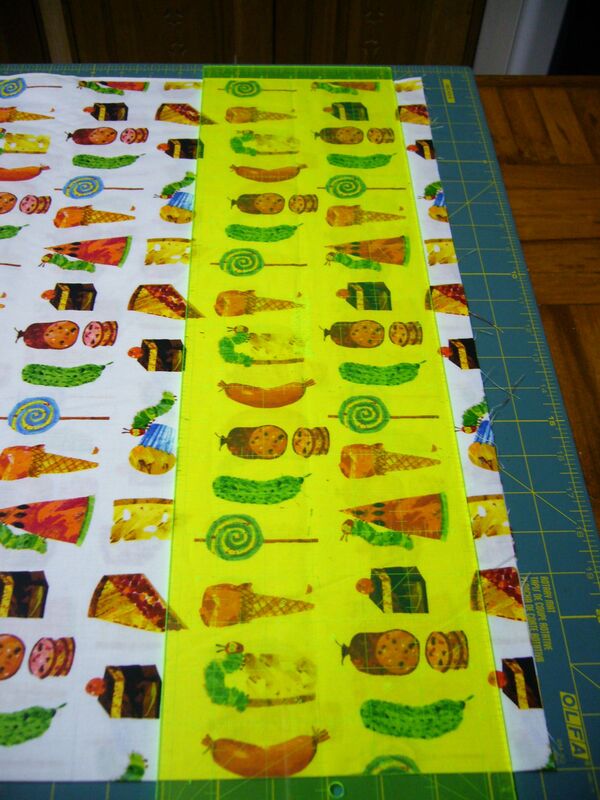 Remove from the sewing machine, open out the new fabric, and press. Remember the repetitive bit I mentioned above? Do that again for section 3. 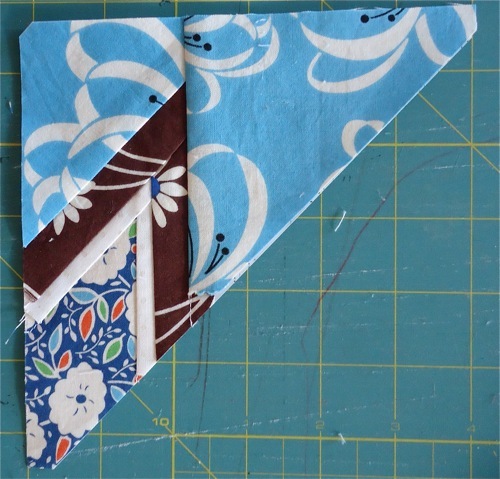 Then use another color for section 4, following the same stitch/press/fold paper/trim steps. Then section 5. Sections 6 and 7 are the “background” fabric. One you cover all the sections, the block will need a trim. 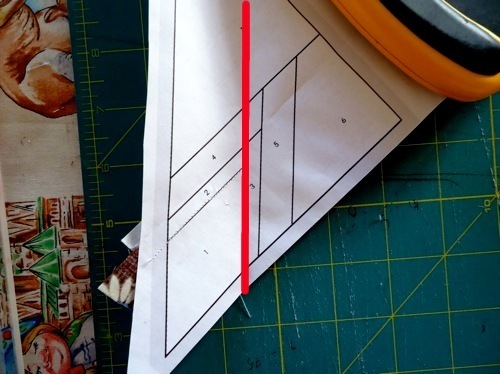 Flip it over, measure 1/4″ from each seam line, and trim. One section down, seven to go. To remove the paper, I found it’s best to start at section 7. 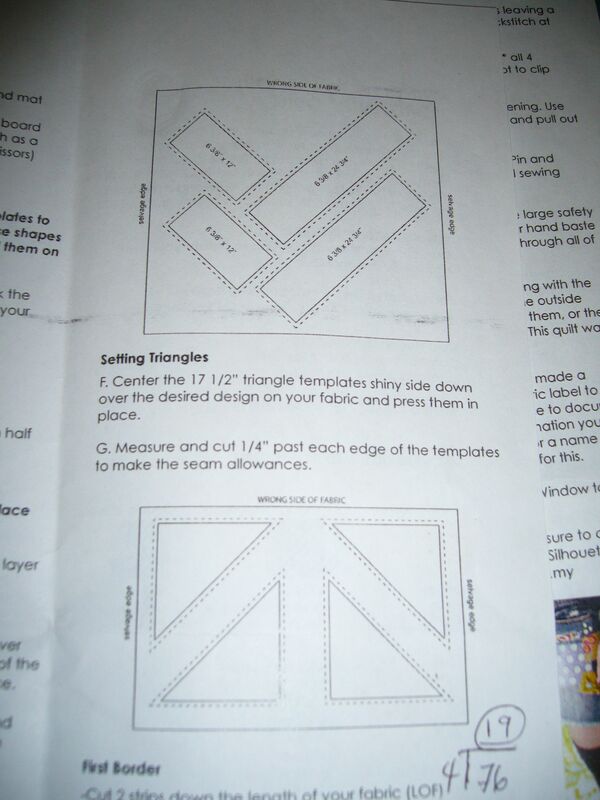 Crease the paper along the line between sections 4 and 7, and tear gently. Don’t pull the stitches, the paper should tear easily. Continue for all sections. Stitch two sections together along the diagonals to make four squares. 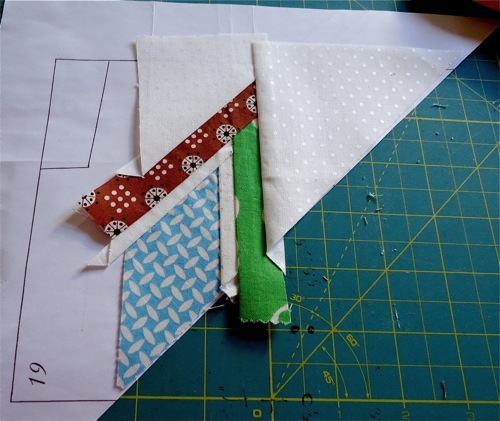 Then stitch two square sections together for a rectangle, then stitch the two rectangles together. That’s it! 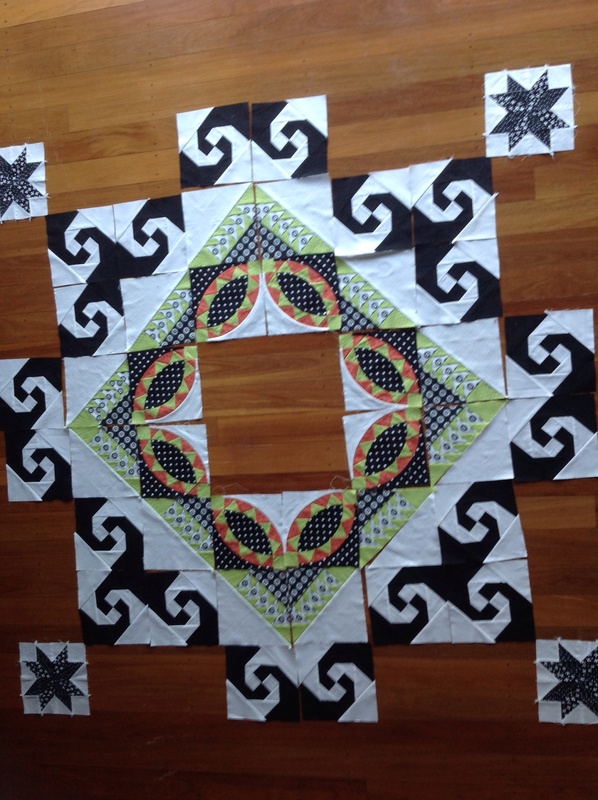 I haven’t decided how to lay out the squares for my final throw, but it’s fun to play. The colored backgrounds don’t please me as much as the white ones, but I should make one more to balance the backgrounds. 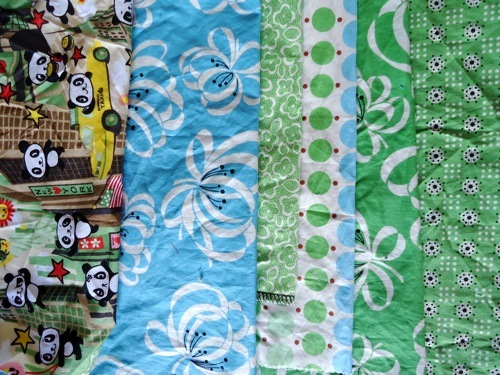 I have a green fabric in the same print as the blue “toolbox” design, I’ll use that. Only three more blocks! 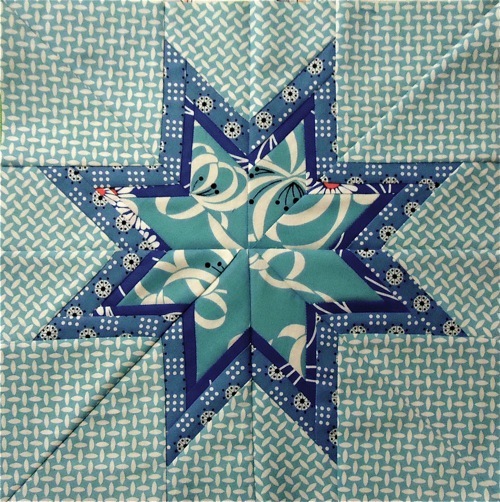 I found this awesome 8 pointed string star while prowling Pinterest last week. I need to make one of these, just one. 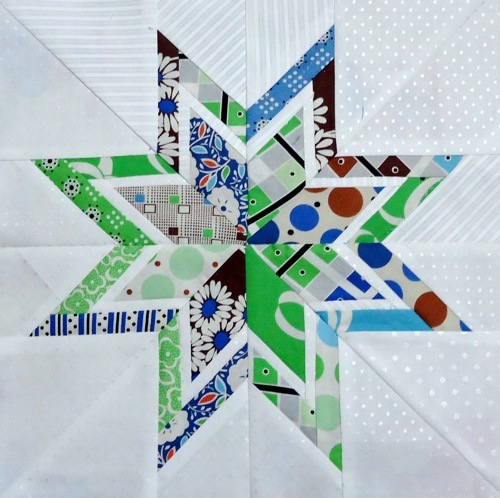 I may smoosh this block into a Lonestar Burst block, anyway I’ll play with it and report back next week. Have I seduced anyone with my paper-piecing photos? I’d love to see other blocks. Later this week- The Lila Wardrobe. If you have a little girl and you want a look at some of the designs I’m discussing with her, check out my Little Girl Pinterest board. I thought I’d post what I did this week. It’s not much. I’m still recovering from the worst flu I’ve ever had (and going to the doctor again tomorrow..). Everything seems to move at half speed lately and its frustrating.. I taught a class this past weekend at Piece Together– such fun! We worked on knits, using the Blank Canvas Tee as our vehicle. Great work, ladies! Much of the class seems to have had the same malady, at least it’s not just me. It seems to be happening to half of mommy-Brisbane. 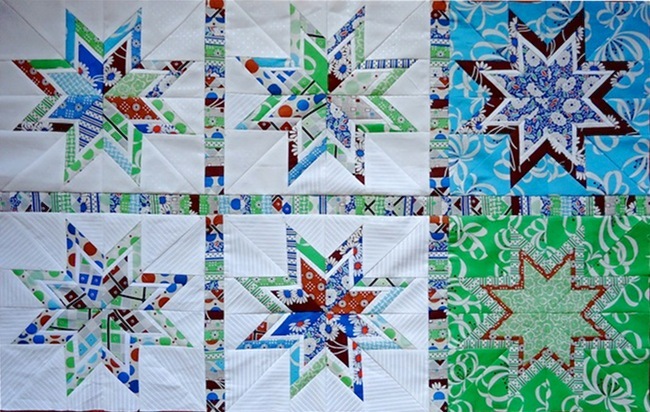 I made another two scrappy Lonestarburst blocks to go with the three I made last week. That brings the total to 5 blocks- another 4 and I’ll have enough for my throw! I used a white-on-white stripe here, you know how I feel about stripes. 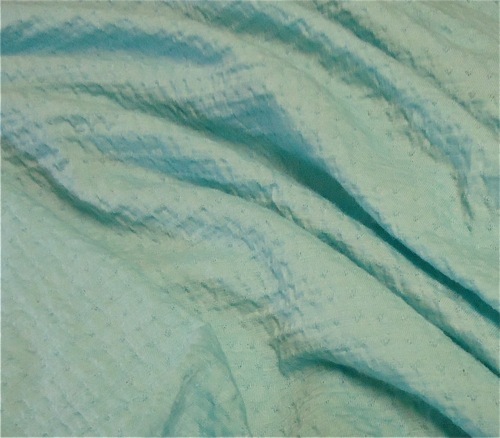 For some reason, this fabric reminds me of toothpaste. It seems very stark against the colored prints and I like that. I found sizeable scraps of this fabric when I cleaned out my sewing room. Yep. I finally cleaned it up. Messes bug me, and my sewing room has been torn apart for about a month. A friend was dropping through Brisbane for the night and since the sewing room doubles as a guest room I had to clean it up or else. 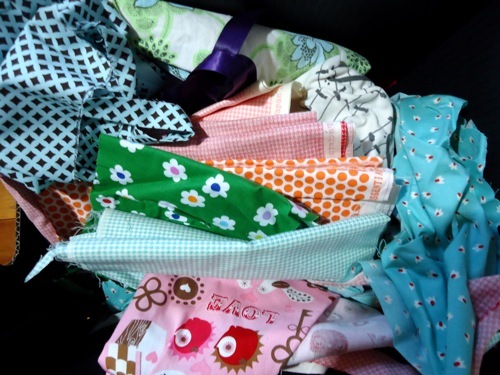 I cleared out every piece of “what was I thinking” fabric, everything that’s a wrong-for-me, wrong-for-the-house fabric, everything for which I don’t have a clear purpose. It took me most of last week, but it’s done now. I’m taking everything I cleared out to my table at Fabric-a-brac, a charity event I’m running at the State Library on the 25th of August. It’s a great opportunity to destash or to pick up a few bargains from those who are de-stashing. 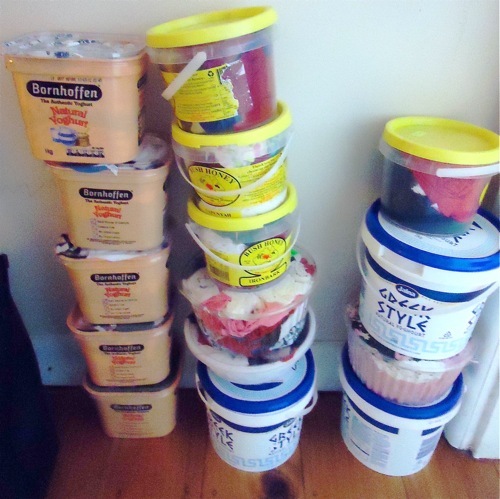 I stuffed all these yogurt and honey containers with my stock of large-ish scraps and remnants. Useful bits and pieces I hope will find a good home. Except these. 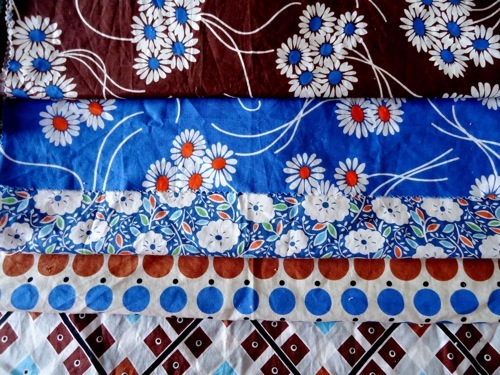 These rumpled odds and ends will eventually become scrap quilts. I like to keep my scraps separated by color. 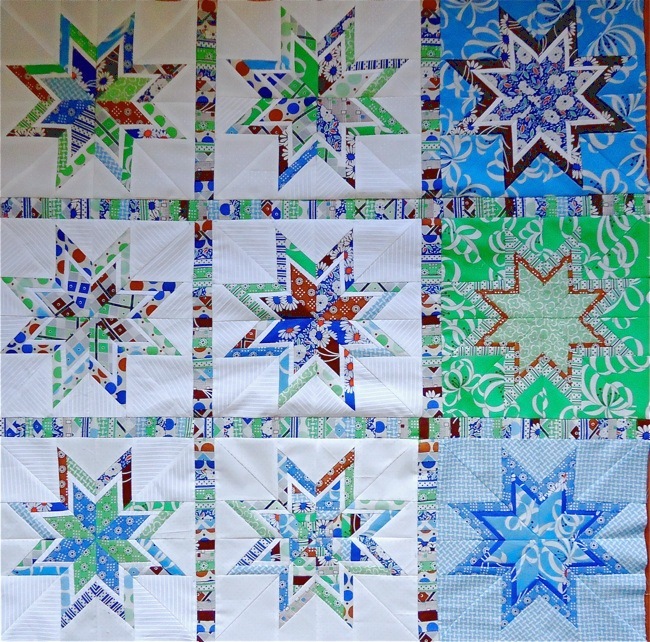 The red/pink box will become a pineapple quilt, the blue and white are a half-completed Storm at Sea, and the colorful box holds scraps of Lila fabrics. Speaking of Lila fabric, she’s had a sudden growth spurt. I have a little stock of fabrics for pants, skirts, little tops and dresses but I’ve been putting off making Lila clothes- probably because my workspace was a disaster area. I love how quickly kids’ clothing goes together, and the first “people” I made clothes for were my dolls. For some reason, sewing for Lila is the same kind of thrill. Except she’s real and that makes the sewing 100 times more fun! She saw this today while I was laundering it and asked for a dress. It’s a very very fine merino- a steal at $10/m. 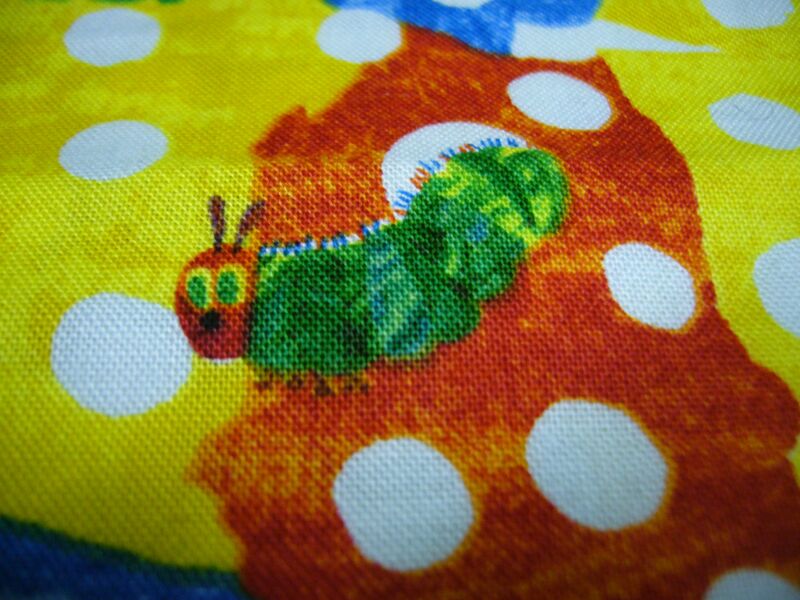 You will see much more of this fabric in the next few months, I bought as much as I could justify. The pale aqua suits mommy and dolly equally well, so I’m sure we’ll get some good use out of it. 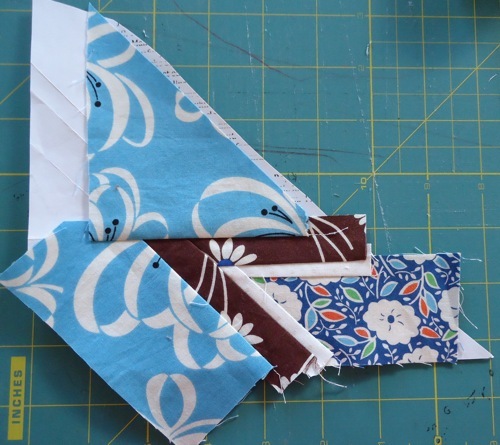 How do you organize and use scraps? How do you decide what to keep and what to toss? Not to beat a dead horse, but I’ve been really sick. How sick? 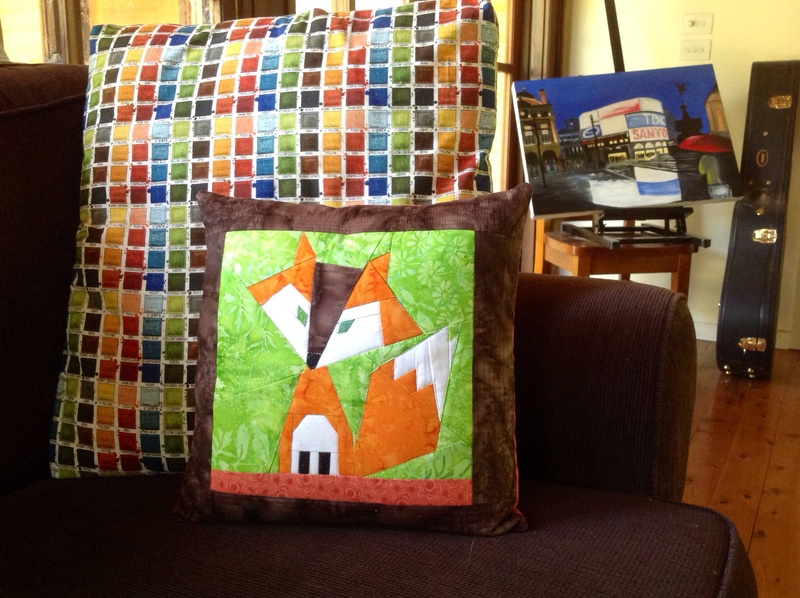 Ten days away from any stitching, drafting, piecing, knitting or cutting sick. This is highly unusual for me, I often spend at least three or four hours a day performing delicate work with my hands. After so long at rest, I knew I would have a case of “stupid fingers” the moment I picked up my work. “Stupid fingers” happens when I know in my brain what the fabric should do but my hands can’t quite make it happen. I fumble, the fabric slips around, I get grouchy and the sewing takes much longer than it should. I have also seen this in beginners, it’s a great cause of frustration. But there’s a cure! 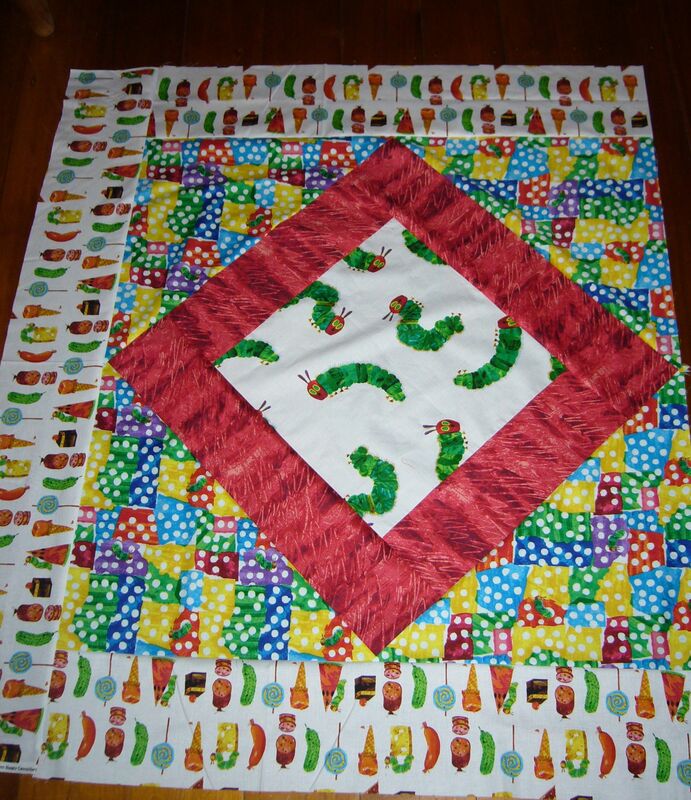 Quilting helps me overcome “stupid fingers.” I can’t have “stupid fingers,” especially since I’m teaching full knit fabrics masterclass at Piece Together this next weekend. I’m the teacher, my fingers must be nimble and sure! On Sunday, my husband spent the day out with the boys deep sea fishing (I was still feeling too delicate for that) and my daughter went to visit her grandmother. I took the opportunity to dig up these fabric swatches I bought over a year ago to see where my inspiration would take me. With the exception of the Panda fabric (which I since decided I’ll use in a Lila-dress-fabrics-quilt at a later date), all of these are swatches from a designer quilt fabric book. When fabric merchants visited the quilting store where I worked, they brought all the latest designs stapled into a cardboard bound book. “Ranges” of fabrics are grouped together to show the effect of the many prints together. The Boss and more experienced staff would leaf through the swatches and place an order for meterage with the merchant. At some point, I picked up these old swatches from a discontinued range for about $20, thinking I’d turn them into a “scrap” quilt at some point. I like the prints and the colors. 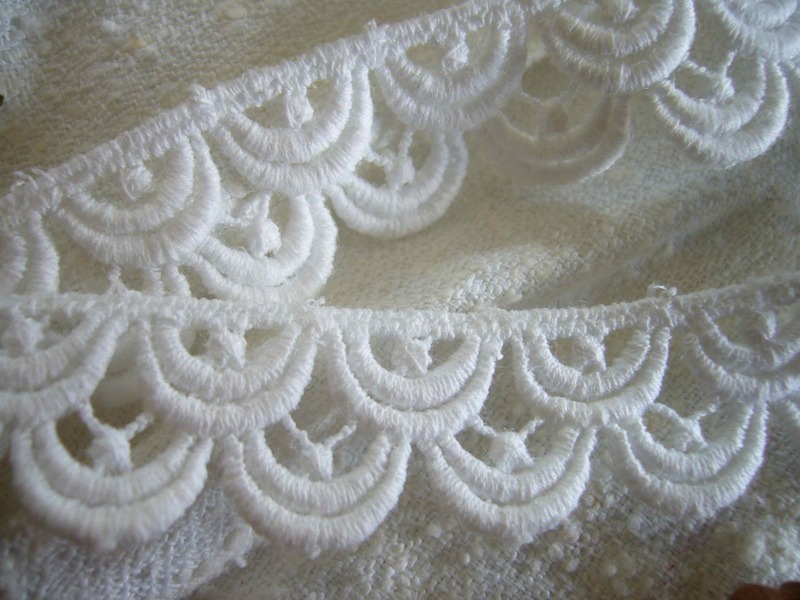 Each piece of fabric is a slightly different size, from roughly a fat quarter down to dainty handkerchief size. 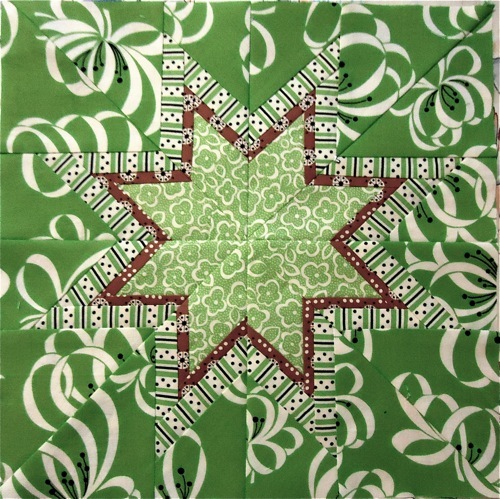 Then, once again proving to myself how useful it is to have a huge pictorial database of good ideas, I leafed through my Quilting Pinboard for some good paper-pieced blocks. 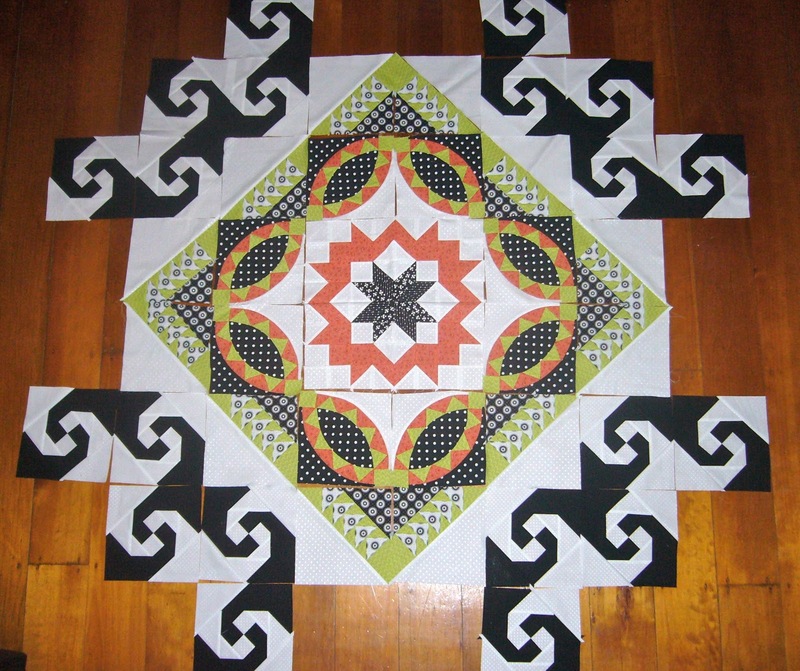 I like paper piecing. 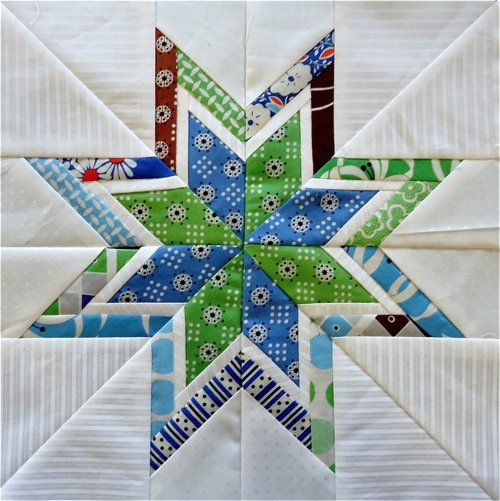 It’s easy to use small scraps and I can create marvelous designs without much pre-cutting. 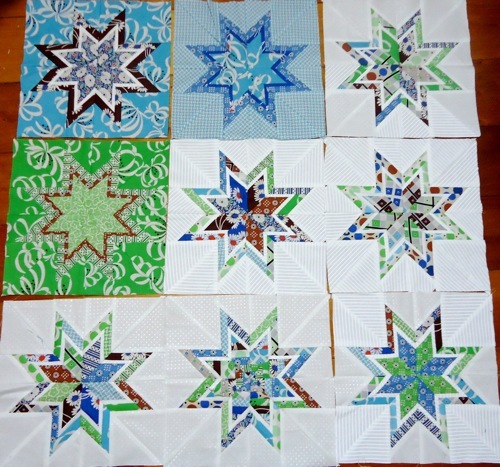 I tend to hoard both scraps and quilt blocks, and every so often I stitch some blocks together for a quilt. 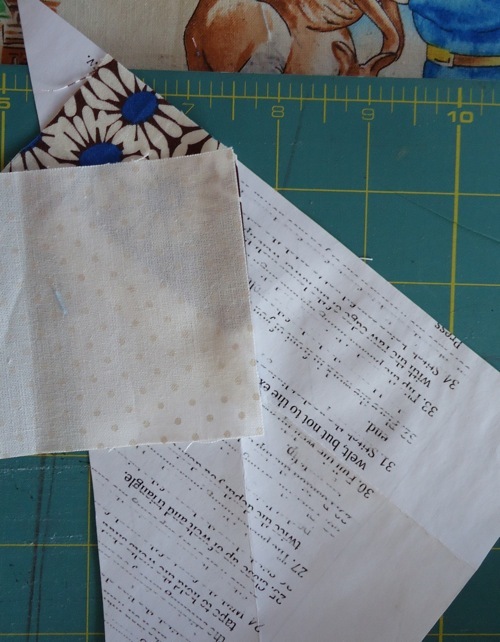 Also, paper piecing is the most satisfying way I can think of to cure “stupid fingers.” It’s easy once you get the hang of it, but paper piecing relies on accuracy in sewing, trimming and pressing. Otherwise, the blocks come out all ugly. 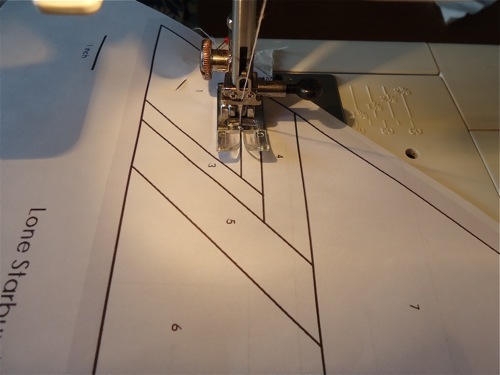 The repetition and the accuracy required, as well as the small size of a quilt block make paper piecing perfect for training or re-training sewing fingers. My sewing room still looks like someone let a Niffler loose in it, so I took advantage of the empty house and set myself up at the dinner table. 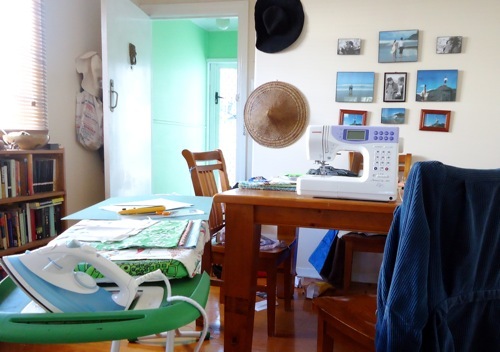 The ironing board is roughly the same height as the table, I have the iron and the self-heal mat to one side, and my sewing machine on the table. This is fantastic because it means I can build up some good sewing momentum without moving about. Sigh. Cracked or not, the self heal mat is still useful. 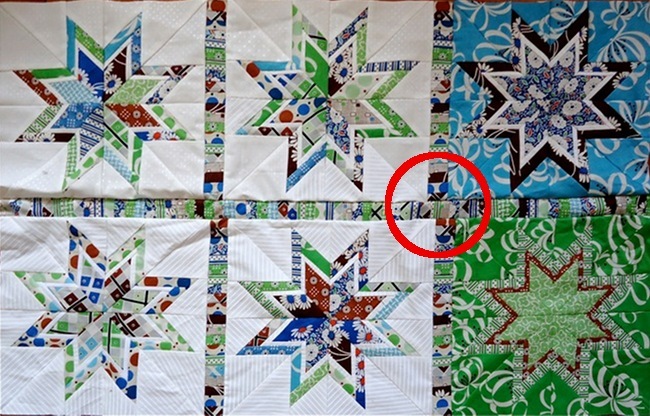 I’m not a serious enough quilter to justify replacing this just yet. I used my piping trimmer to guide my seam allowance trimmings because I couldn’t find my proper 1/4″ ruler. It worked well. 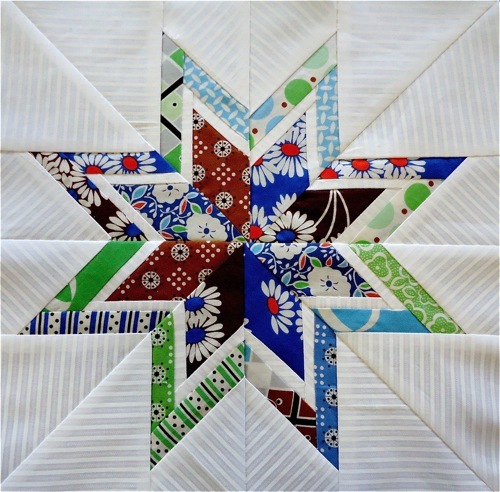 My “stupid fingers” made a little mistake with the white along the bottom edge, but I sort of faked it when I stitched the sections of the star block together and it will be fine once it’s quilted. (Shhh!) 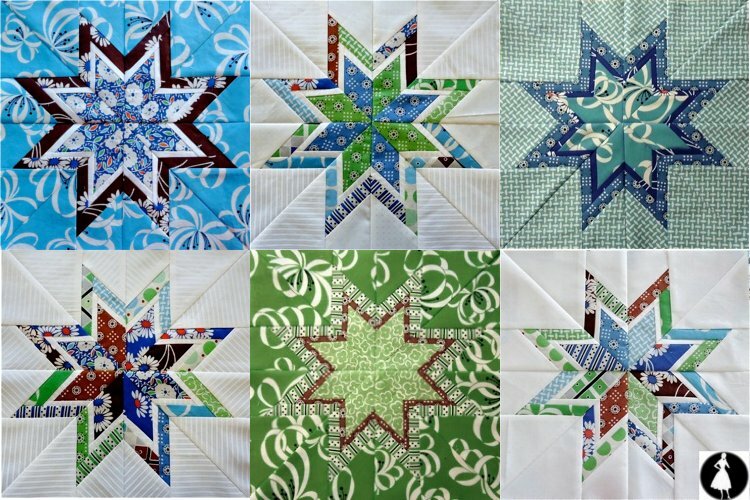 Once I hit my stride, each of these star sections took me about 15 minutes to make. Each block has 8 sections. I made the first one very scrappy with white (spotted!) 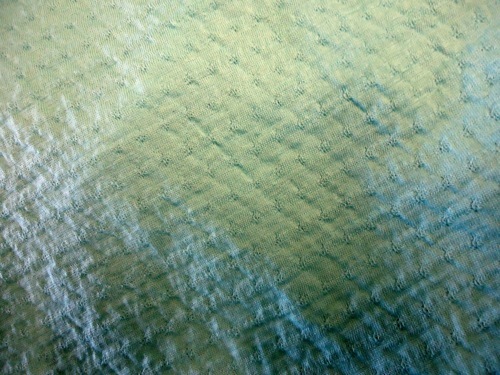 background fabric, just like the one that I pinned. 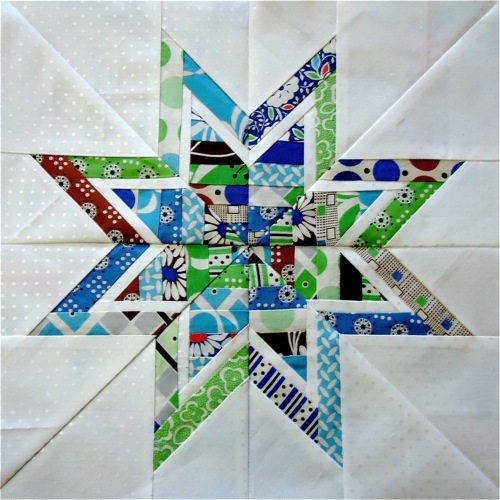 When I read Anna’s post about this block at Six White Horses (she very generously posts the paper piecing template, too!) 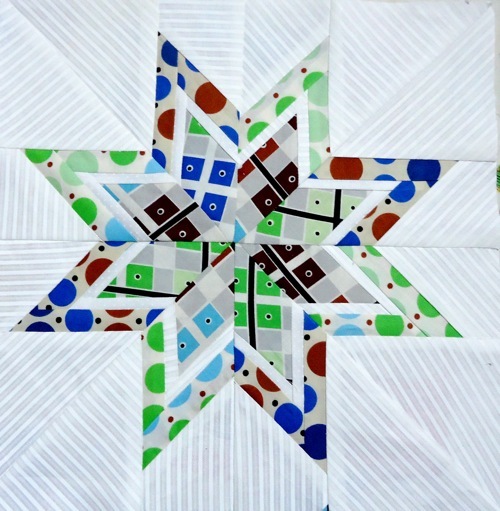 and saw more colorful variations of this block at The Undercover Crafter, I knew I couldn’t stick to the scrappy/white variation only. It’s too much fun to mix things up! Besides, I figure I’ll run out of fabric for squares and then put them together as seems best. 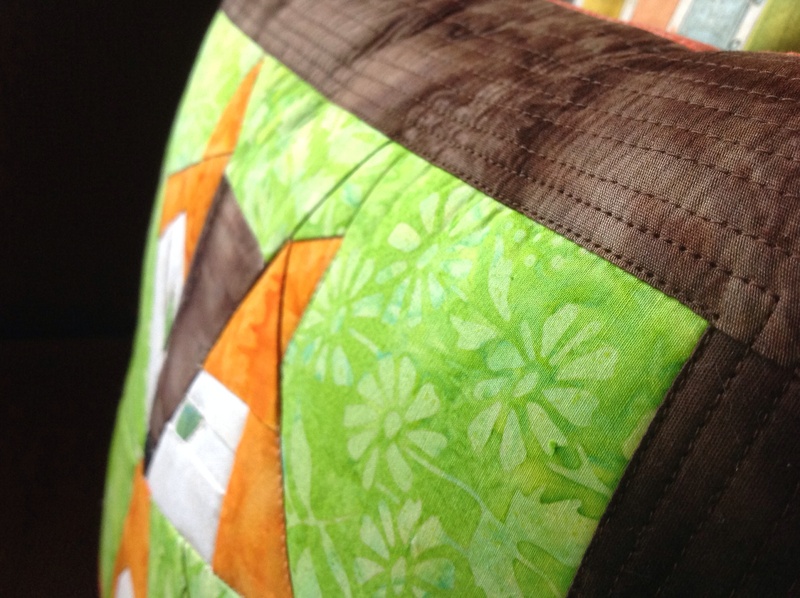 This is not a carefully planned quilt, and I’m fine with that. Next, I played with blues! “Stupid fingers” tripped me up a little bit while I made this block, but not much. And then green with a rim of brown! 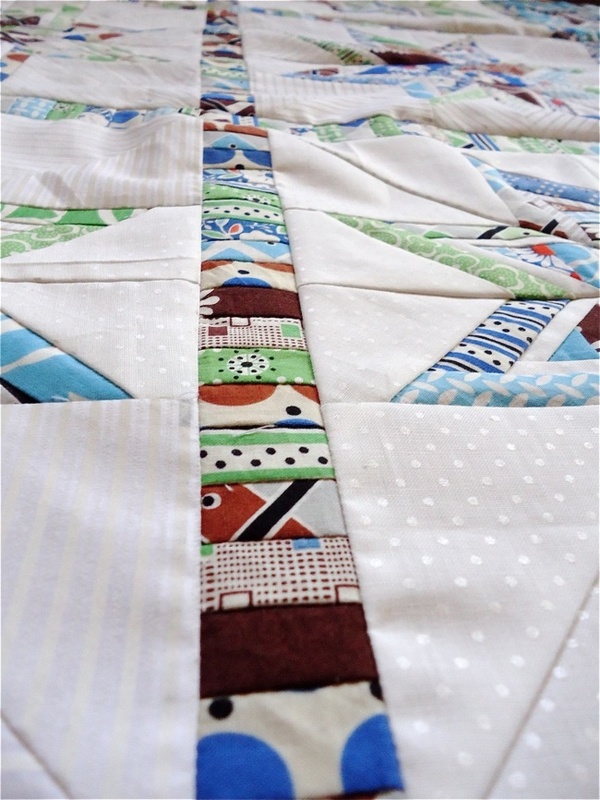 I like that these second two blocks use “modern” style fabrics with a very restrained and traditional block. 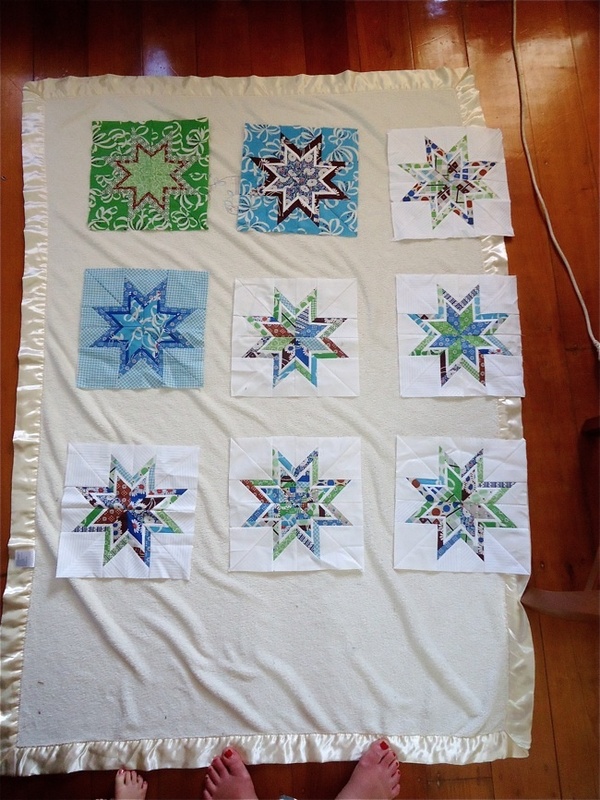 Each block is 12″ finished (because I square off my edges, which is not cheating…) and I figure I should have enough blue, green, brown and white fabric for 9 blocks total. 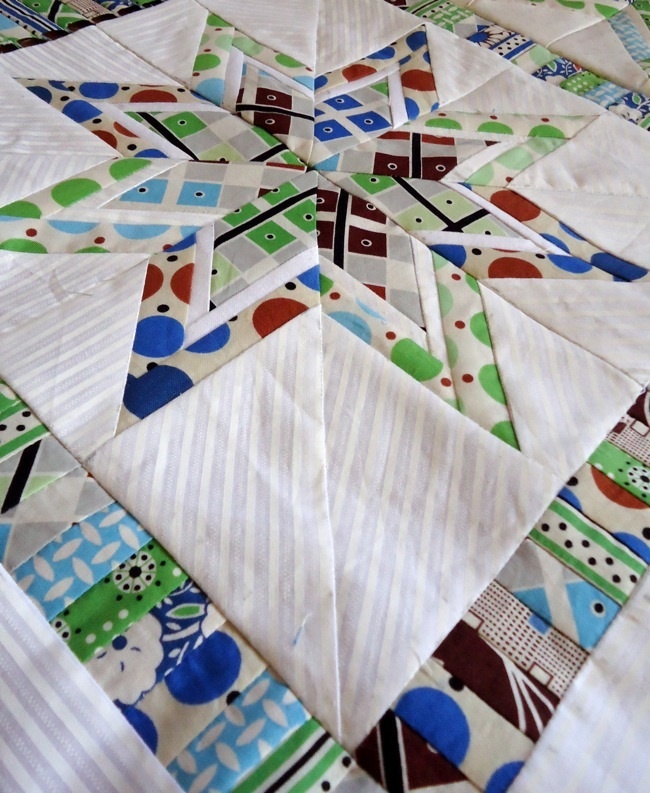 That should make a decent sized throw, but not pose such a quilting conundrum that I don’t finish it. These three blocks took quite a while to complete, and I was utterly exhausted at the end of the day. 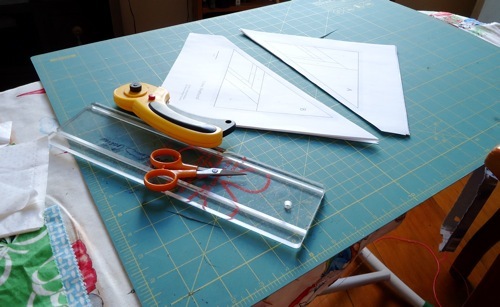 But my fingers felt smarter, and I knew I could get back to drafting and sewing other things without making a big mess. Yesterday, I took some time off from working on electronic patterns (serious computer fatigue!) to make a pattern for Megan’s dress. 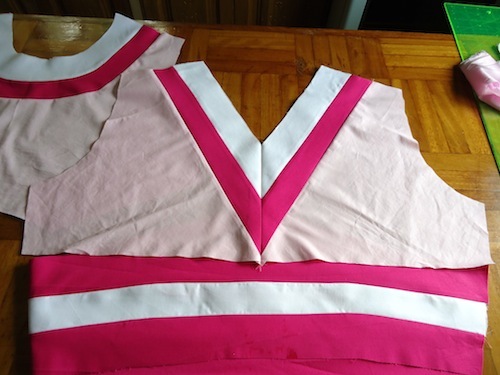 Not surprisingly, I couldn’t locate either my already-adjusted fitted bodice with midriff or my dress block. That would have been too easy. 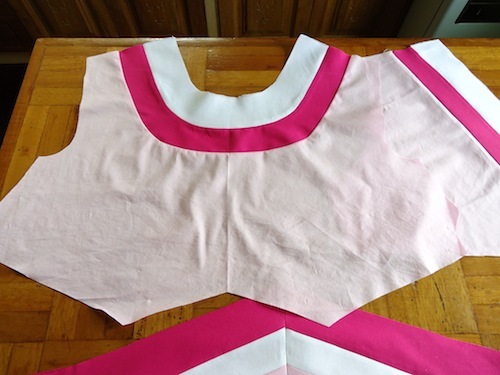 I did find a sleeveless bodice that fit well, so from there I chopped up the pattern for a bodice/midriff combination. 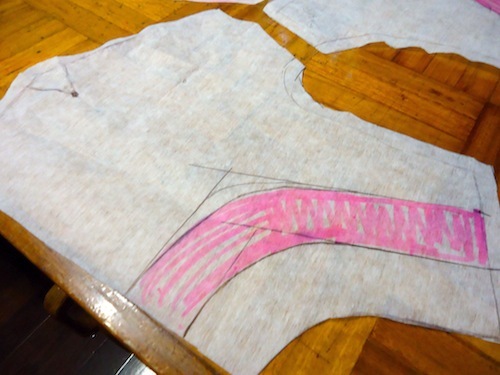 Once I had a final pattern that fit, I marked the contrast bands. 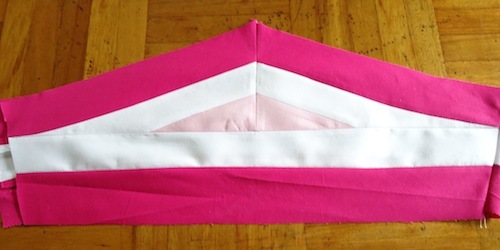 The front midriff section had the most bands, so I started there by dividing the CF of the front midriff into five even sections. From there I used the photo as a guide to drawing the seam lines, and I labeled each section with the color it should be and a number to make sure I didn’t get lost. I laid little bits of polytrace over the top and traced the shape of each individual piece, then added 1/4″ seam allowances to the insets. 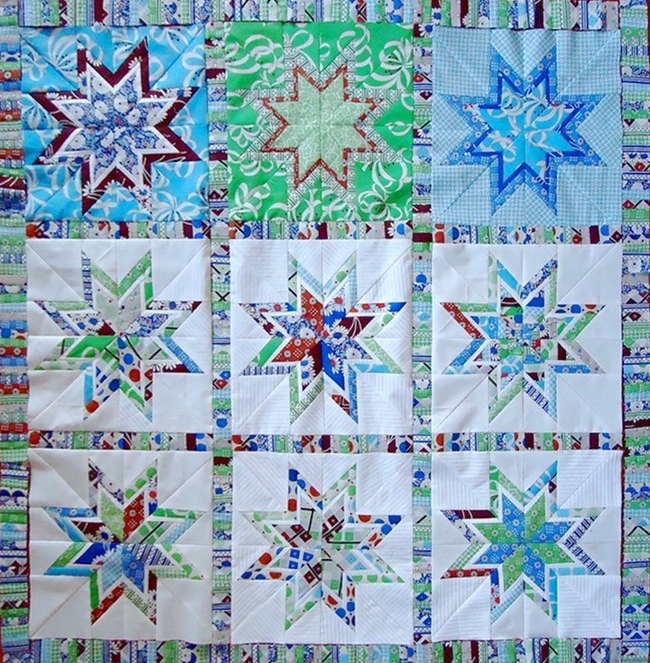 I decided to approach them as a quilter, not a dressmaker. I don’t understand why it looks puckered in the photo and flat on my work table. 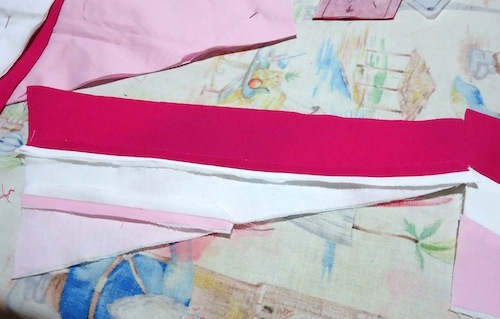 The raspberry is a little heavier and much darker than the other fabrics so I interfaced the white and pink with a lightweight woven fusible. The back is my favorite. You can’t see the back of her dress on the show, so I opted for a v-back and changed the color placement slightly. On Megan’s dress, the raspberry color is closest to the neck. This makes sense. Necks make white necklines look filthy. 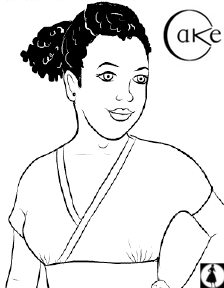 However- I want my V to touch the raspberry in the back midriff section so I switched the colors. I’m tempted to bind or pipe the neckline, but that would take it further from Megan and that’s not what I’m doing with this dress. Again, it looks puckered here but not on my table. I haven’t pressed the pink-raspberry seam open yet, I just pressed the seam flat. That should make the difference. It was very pleasing to put the insets together. Once I started, I didn’t want to stop- I wanted to keep sewing and sewing so I could watch this dress finally come together! 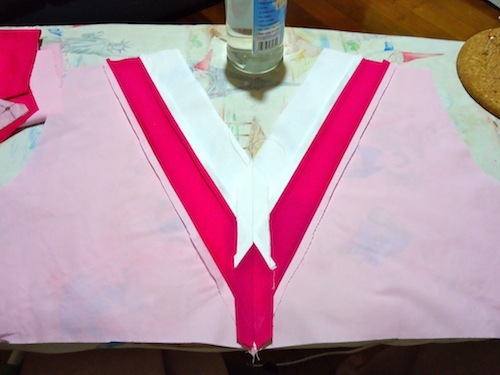 Now I just need to assemble the dress and lining, nothing terribly difficult. The tricky hard parts are over. Will it look like Megan’s dress? Will it be wearable in public? Will I like it? Two long-standing friends of ours are having a baby. 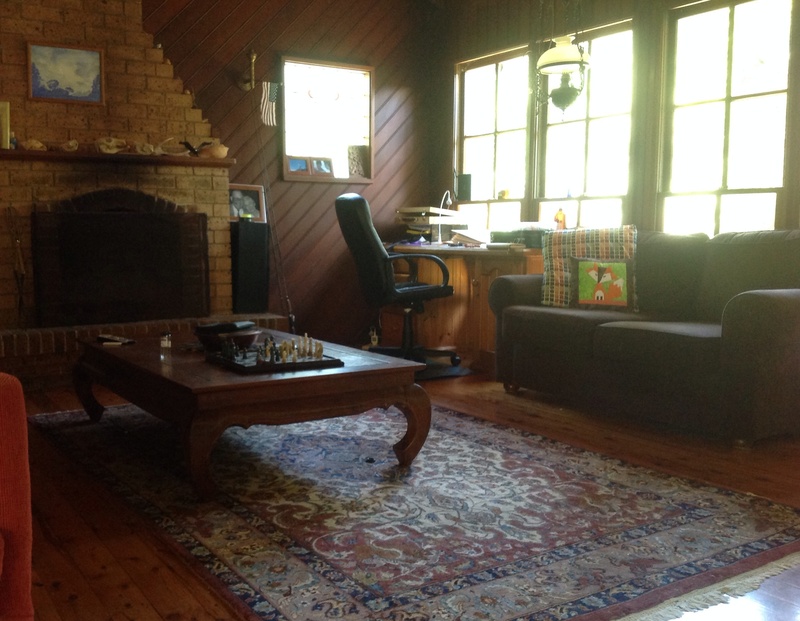 The four of us lived together in a tiny rental house when Stephen and I were first married. Their baby shower is this weekend and I wanted to make something nice for them. 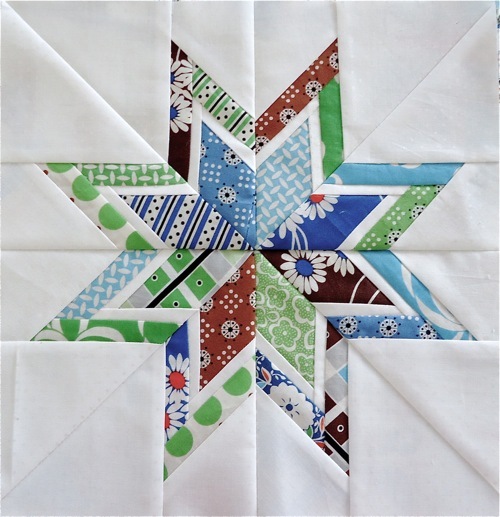 Amy Butler’s newish free quilt pattern, Windows to the Soul caught my eye as a pretty but quick project. I decided to make it without the outer border for a playmat size. Why bias? Why bias rectangles? Why not strips cut on the straight? It’s not like the rectangles must mold around curves. 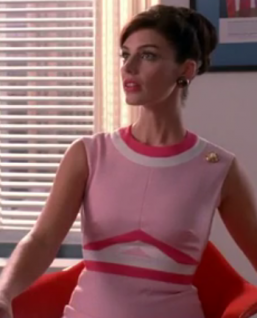 Ever notice her patterns are… uhm… wasteful? Me too. 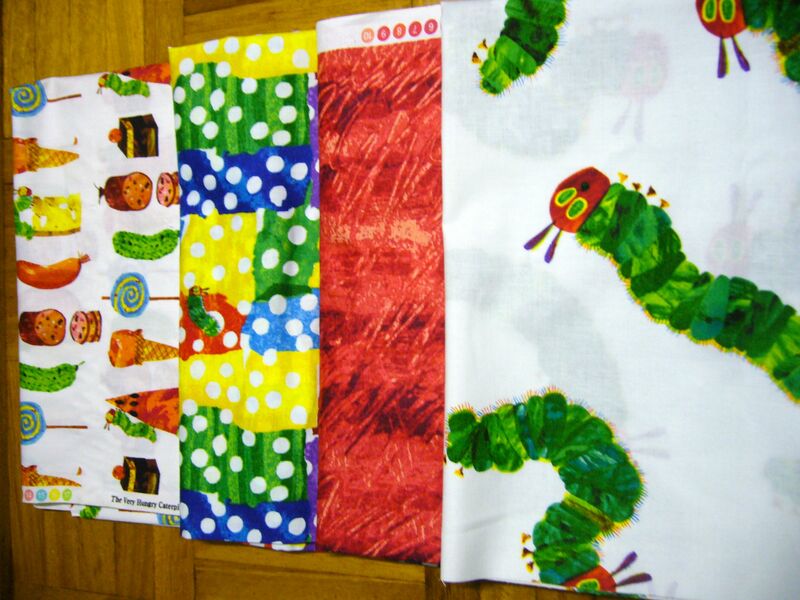 Lila loves The Very Hungry Caterpillar, and I couldn’t resist these. 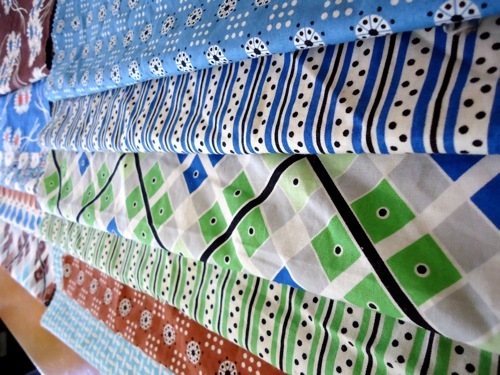 The pattern is designed to showcase fabric, I thought this would be bright and happy for a baby (boy or girl? no one knows!). I’m sewing it tough; I know the mommy-to-be will use it. I really enjoy making things people will use. 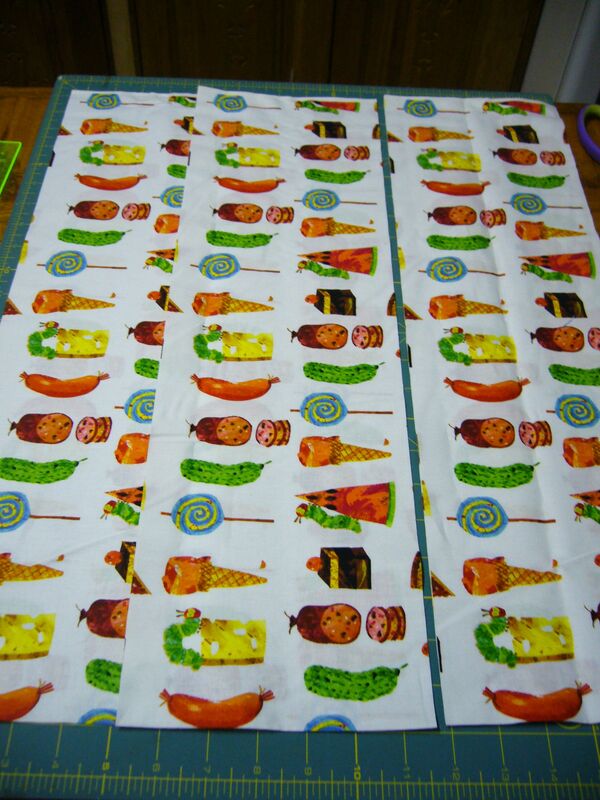 I thought it would be cute to fussy cut the borders, to minimize chopping through the design on the fabric. I put together what I could, it felt good to sit in front of my sewing machine again. 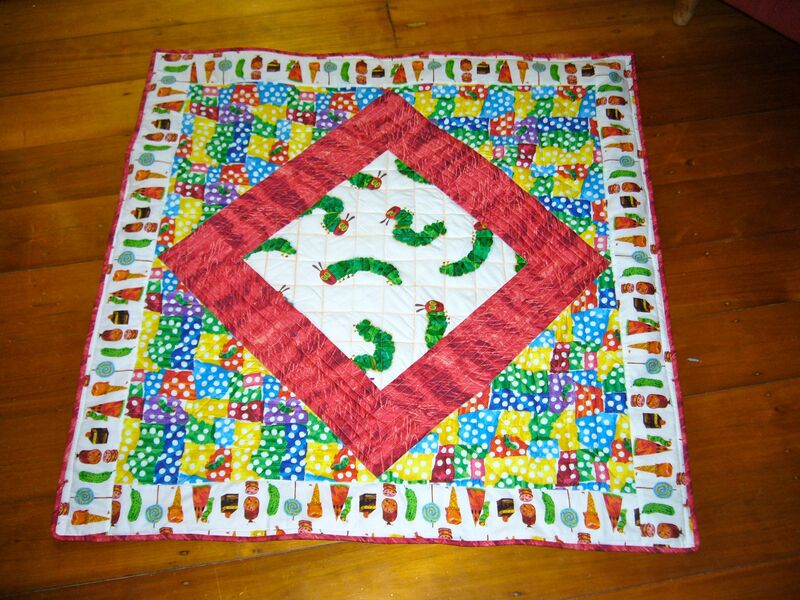 I’ll quilt it this week and take some rad pictures before the baby shower! Thanks for all your support with moving the site. Don’t forget to enter the Moving Time Giveaway- I’m giving away a Dior-style fabric rose trio, The Fashion File book, and two patterns on Friday.